WH Brakspear & Sons is one of the nation’s best loved pub chains with over 130 pubs stretching from the Cotswolds to Brighton. 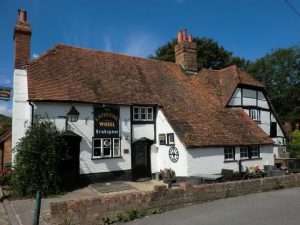 We were first asked to carry out fire risk assessments for all of the tenanted pubs in 2008 and have continued working with Brakspear ever since to conduct new assessments as new pubs open and to carry out regular fire risk assessment reviews. Because Brakspear pubs all have their own individual character, as well as many of them being hundreds of years old, great care is taken to assess each property in depth to make sure the inhabitants and the often historic buildings are safe from fire. In 2012 the client asked us to carry out fresh assessments for the whole portfolio of pubs during one of Britain’s warmest summers. It’s fair to say that our risk assessor whole-heartedly embraced the challenge!